From the poorest regions of Buenos Aires to the rich Parisian salons, Tango is as much a dance to be danced as it is a music to be played. This is the story of a culture with a thousand faces. Tango was born at the end of the 19th century, in the region of the Rio de la Plata (the estuary of the Atlantic Ocean separating Argentina and Uruguay). Though today it is often considered one of the common society styles of dance, it took its first steps far from the luxurious apartments and palaces where it is often danced. Tango was originally created in the lower class suburbs of Buenos Aires, in the conventillos where the poorest Argentinians were forced to live at the end of the 19th century. In the ports and barrios (neighbourhoods), one could just as easily find descendants of slaves, marginalised farmers after the second industrial revolution, and a large number of immigrant European works (Spanish, Italian, French, German...) all keen on building a new life in this Argentinian eldorado. In the capital's neighbourhoods, the compadres (thugs and gang leaders) rule the streets. It was these very same compadres that danced the Tango. Their steps and moves, however, do not resemble those that we know today, much faster and suggestive, since this original Tango is a Tango Canyengue, a rascal's tango performed in brothers and street shows by scoundrels. Tango fever slowly sweeps over the entire town: it was danced at balls, cabarets, leading to the rise of the first Orquestas típicas. There emerged at the beginning of the 20th century what was to be later known as the Guarda Vieja, the dance's original performers, those who would eventually codify the music and the dance, becoming guardians of this now sacred tradition. The musicians of an Orquesta típica (bandoneonists, violinists, pianists and double-bass players) had only one objective: to draw people to the dancefloor and get them dancing. Some of the greatest works of the tango milonguero were composed at this time: El Entrerriano, El Choclo, La Cumparsita… The success of these works elevated tango as a genre, becoming one of the most popular dances in the Rio de la Plata. Editor's note: La cumparsita was composed by the Uruguayan musician Gerardo Matos Rodríguez. Primarily danced by workers and sailors, the tango danced invariably travelled. It crossed the Atlantic Ocean and settled in the cabarets and brothels of various European ports. The suggestive dance even went so far as dominating the exclusive Parisian salons. During the early 20th century in the French capital, the Belle Époque was in full swing (for society's wealthier members in any case): the bourgeois were enchanted by this exotic and titillating entertainment. 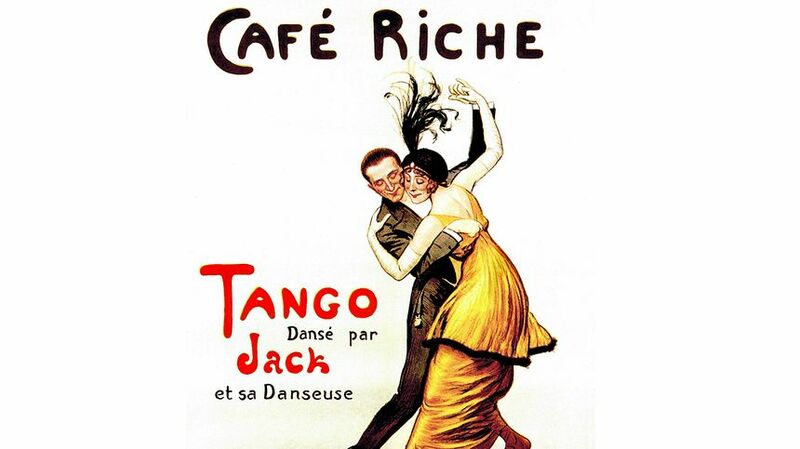 Adopted by the younger generation of the fancy Parisian , tango gradually lost some of its scandalous character, but this widened appeal moved the latin dance from simple "salon" tradition to one that was now danced by all. At the same time, back in Argentina, tango dominated the scene from the 1920s to the 1950s. Several of its most famous performers, such as the singer Carlos Gardel who died tragically in 1935 in a plane crash, become ambassadors of the country's national culture. In Buenos Aires the tango is king, and a word of warning to those such as Astor Piazzolla who would dare to experiment with the beloved genre. The Argentinian composer was born in Mar del Plata, but grew up in New York's Greenwich village. The music of his youth was not therefore the tango of the Orquestas típicas but rather Harlem's jazz clubs, and the swing of Cab Calloway and his orchestra. Piazzolla's influence on the tango genre is similar to that of the history of jazz and its jazzmen : much like the bebop musicians of the 1940s and 50s who sought to disassociate jazz from its physical and dance elements, Piazzolla sought to emancipate the tango from the dancefloors. His tango was complex and varied. He deconstructed the traditional compas (the rhythms), made abundant use of counterpoint, mixed various ingredients from the classical repertoire with that of the tangueros, included several new instruments in the traditional tango orchestra (most notably the electric guitar)... Though at first he was scolded by the guardians of the latin tradition, the representatives of the Guardia Vieja, Piazzolla eventually came to be recognised as one of the undeniable masters of the tango, or rather, the tango nuevo. Though Piazzolla revolutionised the art of the tango and performed his music in many of the world's most prestigious concert halls, the traditional tango genre suffered a sharp decline in popularity. Its sensuality and lasciviousness were no match for the increasingly popular jazz rhythms and lively swing dances : the Argentinian youth became increasingly enamored of the new musical trends from the north-american continent, at the cost of the cultural folklore of their ancestors. Countless orchestras disbanded, and numerous tanguerias closed their doors for good; an essential part of Argentinian culture slowly disappeared as the country went through grave political instability. The tango, however, would survive and even become once again part of the popular culture, with a variety of spectacles and new performers to bring the dance back to the Argentinian people,. During the 1990s, the milongas (traditional balls) and other locations re-opened and tango lessons became increasingly available. Various dancers became professionals of the genre, some even borrowing steps and movements from other dances, and even incorporating a more acrobatic and spectacular element to the genre. Musically, the tango became free: after Piazzolla's Tango Nuevo, with his guitar and electric bandoneon, followed a more modern tango electronico produced by the likes of Malevo and Gotan Project. Be it in the streets of Buenos Aires, in the La Boca neighbourhood, in Paris or in Tarbes, performed by an Orquesta típica or rearranged by an electronic artist, the tango never lost its two main ingredients: seduction and nostalgia. The secudtion is expressed through a casual nonchalance, one of the partners accepting to be guided completely by the other. 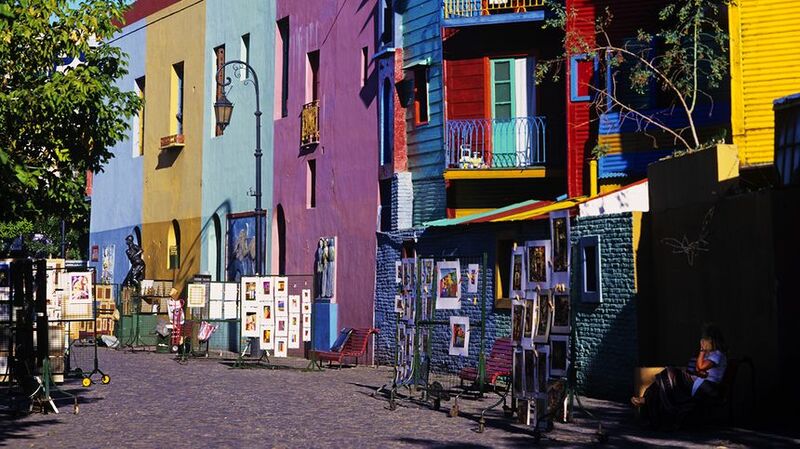 As for the nostalgia, it is a constant reminder of the streets of Buenos Aires, that of broken dreams and dashed hopes.